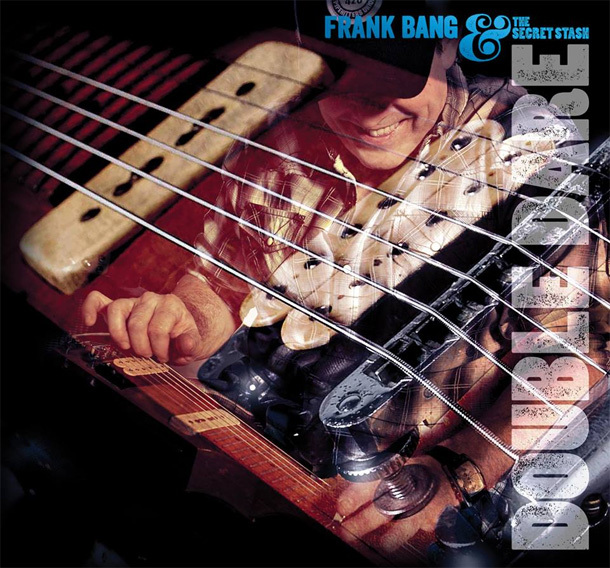 After a five-year hiatus since his last album, Frank Bang is back and ready to rock in Frank Bang and the Secret Stash’s new release Double Dare. Hailing from Chicago, Bang considers his genre to be “Rock Americana,” influenced by American Southern rock and Chicago blues. Double Dare is an album that is unmistakably American at heart, from its country-rock vibe to its familiar lyrical anecdotes. The album’s opening track “Double Dare” comes in loud and strong. With this powerful track there’s no turning back—Bang lures you into the rest of the album. “Burning Up In The Wind” has a great bluesy feel to it as Bang turns to his slide guitar and brings in the harmonica. “Lose Control” is another high-energy track to keep the gears moving with a funky bass line and aggressive lyrics. “God-Fearin’ Man” and “Wonder Woman” bring us back into the blues mood. Bang has said that “Wonder Woman” was the first track he wrote for the album and set the stage for what he would write later on. Bang praises the strength of love in “Wonder Woman” with his passionate lyrics and slide guitar driven melody. Songs like “This Is What Its All About” and “My Own Country Way” evoke the simplicity of quaint country living, while “Mattie’s Girl,” is a soft bluesy track to close the album. Frank Bang and the Secret Stash have certainly come back with a bang on Double Dare. Bang’s influences Buddy Guy and Stevie Ray Vaughan come through loud and clear on this album, as does Bang’s hard work and technical skill. This album definitely seems to convey the American spirit, coming from a musician who has traveled the country picking up musical inspiration from all areas of the U.S.
Just got the CD in the mail at WMHB… nice! Rockin’ slide guitar and cool sounds.